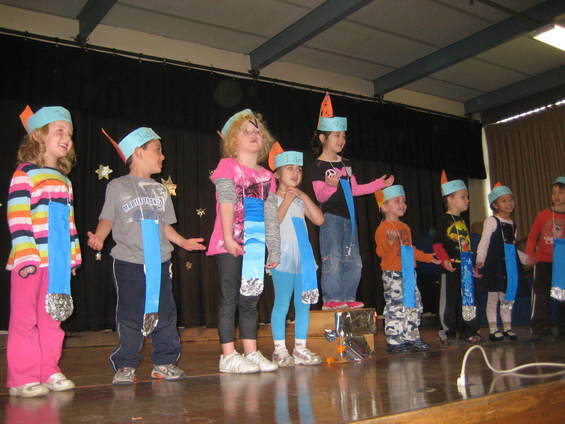 At MetroWest Jewish Day School – every day brings gifts small and large! We have been hearing such wonderful buzz around school this year that I just have to share some of it. Read the quotes below to get a sense of what students, parents and teachers experience every day at this jewel of a school! Kindergarten Parent: MWJDS exceeds every one of our expectations. An Israeli parent who teaches Hebrew: I cannot believe how much Hebrew our daughter has learned in such a short period of time! And it makes us so happy to see how proud she is to use it. Parent of 3rd grader new to MWJDS this year: He used to be able to sit in public school for weeks unnoticed by the teacher and without answering any questions. Now he has to answer questions every day. There is no way to slip by unnoticed. Second Grade Parent: Thank you so much for taking such good care of our son. With long commute from Worcester to Framingham, we are very comfortable with the care he is receiving at MWJDS. Our four children go to school in four different directions; we have complete confidence in his care. Visitor who is a principal of an area public middle school: I found your staff to be particularly passionate and engaged and the students to be really on task and excited. It appears that you have created an environment of inquiry and creativity and you should be proud of these efforts. Head of School: MetroWest Jewish Day School is having an exciting year. Kindergarten students are exposed daily to a variety of early literacy skills. The first and second grade students are exploring air and weather using parachutes, tubes, vials and other hands-on and project-based activities. Fourth grade students will visit the Harvard Museum of Natural History to build on their science unit about rocks and minerals. The middle grade students are studying terrestrial and aquatic environments by incorporating isopods, beetles, goldfish and various plants. They spent four days at TEVA, the Jewish environmental center in CT last month. Our staff’s recent professional development session featured Julie Gordon, an expert in differentiated instruction, as we strive to meet the needs of every learner. Our children are regularly seen at area synagogues on Shabbat as they eagerly participate in the service by leading prayers or reading Torah. On December 3, in honor of the hag we held our own Cirque de So’Hanukah talent show! All of these activities are occurring while we are in the midst of continuing to build our school community. I want to make sure you know about CJP’s Discover Day School Initiative which provides up to $4,000 a year for three years towards day school tuition for families new to day school who have a child entering kindergarten in 2011 and earn up to $250,000 a year. I hope you have enjoyed reading what people have been saying about MWJDS as much as I enjoyed hearing it! MWJDS Kindergarten Class: Stars Of Their Own Movie! Here's a small window into our kindergarten class, created by Tali Singer, a student at MassArt College in Boston, and the sister of Nitzan, the students' teacher. Happiness and joy; thy name is MWJDS. MWJDS and Temple Beth Am Mitzvah Day This Sunday! MWJDS Wins PEJE Challenge Award! MWJDS’ Founder Renee Finn Chosen as JWI HERo! Join the MetroWest Jewish Day School community and families from the area for the annual BBQ at JCC Clearbrook Pool Club. Bring a towel and your appetite for a great dinner. Attendees need not be an MWJDS family or Clearbrook member.